Powder paint shops are the solutions dedicated to apply organic coatings by using spray equipment, usually a manual or an automatic guns for electrostatic spraying. Powder coating is generally an economically attractive and enviromentally friendly alternative to liquid painting. Powder coating can be applied to many kinds of material but is generally selected for metal surfaces. 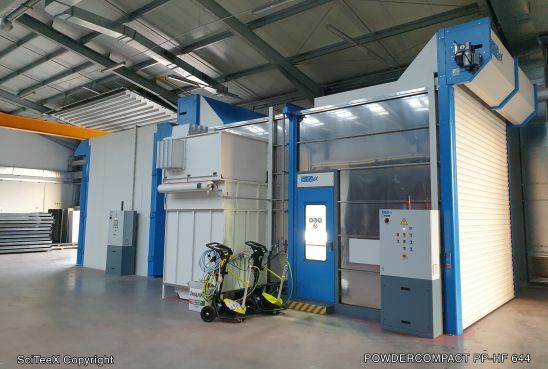 Powder paint booths developed by SciTeeX are designed to eliminate powder escape outside the booth and to ensure optimum working conditions for the operator. The booths offered by SciTeeX meet environmental protection requirements. 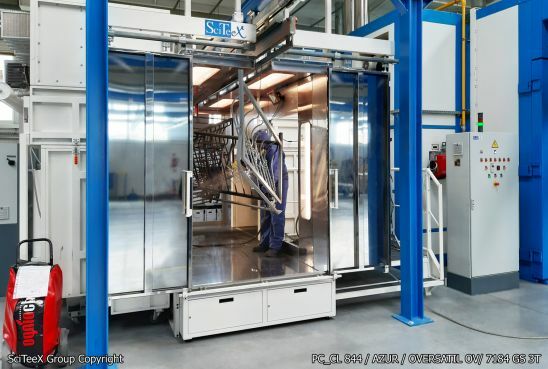 OVERSATIL Series polymerization ovens developed by SciTeeX are designed to ensure optimum curing conditions for the powder applied to a workpieces surface, by heating it to a temperature of 180ºC to 220ºC. At this temperature, the powder melts, polymerizes and is cured to produce a uniform and tight coating. SciTeeX announces the purchase of a new TRUMPF press brake….